Had our hands on the new Dell XPS 13 last week, the 9370 model. 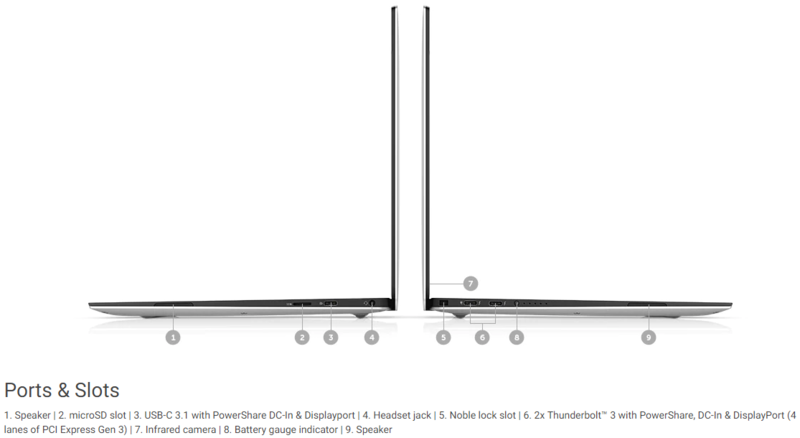 First thing you notice they got rid of all the useful USB ports to make it thinner and lighter……. A few breaths in a paper bag later, and you find the dongle converting USB-C (new standard) to USB-A (one we are familiar with). It has the fancy name Thunderbolt 3 (thanks Apple *sighs*). They only give you the one, but they are £3.50 on Amazon so no big deal. For under 30 quid you should have adaptors on all your devices and won’t add any real weight to the cables. Windows Hello compatible fingerprint reader on power button. just rest finger on button to unlock. Tiny bezel, screen is almost edge to edge. I could go on all day. Outstanding kit. As with all XPS 13 & 15 options, the price is firmly in the premium laptop range. Dell has typically does no offer much discount on these models as they are very sought after, though are flexible on extending the warranty if purchased direct from account manager or phone sales. Laptop of this calibre should be warranted for 3 to 4 years minimum in our opinion, with next business day engineer and parts on site making this ideal for business use.